The Wu-Tang Clan’s RZA and Ghostface Killah are teaming up to produce the suspense/horror film Angel of Dust, per a report from Deadline. RZA, the ringleader of the global hip-hop group, will also direct the picture. “It’s a blessing to partner with Oscar-nominated producer Shaun Redick and Impossible Dream Entertainment, and to be doing business with my brother, RZA directing is a dream come true. Putting all these great minds to work together will be legendary,” Ghostface Killah said. The script is inspired by true stories that happened around the hood to members of rap group when they were growing up around the Staten Island Projects, which helped their mind-sets to launched the Wu-Tang Clan in the first place. The story was created by Wu-Tang’s Ghostface Killah (aka Dennis Coles) and their longtime manager Caruso. The script is by Matt Leslie and Stephen J. Smith (The Harrowing, Summer of ’84). The logline is as follows: Casey is a normal yet exceptionally smart teenager and talented rapper but after the mysterious death of his parents he’s been forced to grow up in NY’s roughest inner-city streets (known as Shaolin in Wu-Tang folklore), basically on his own. As life in the hood around him gets tragically worse he must put his skills to the test to survive not only the gangs, corrupt cops, junkies and bullies, but a serial killer with seemingly supernatural powers dubbed Angel of Dust by the media. 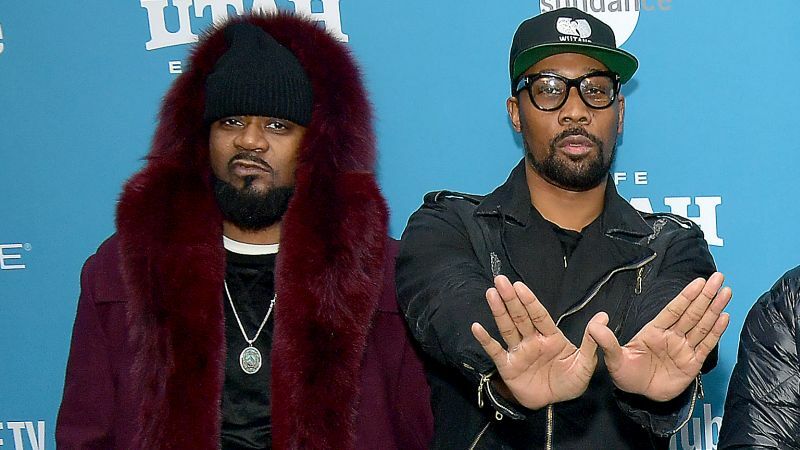 Of course, The Wu-Tang Clan will provide an all-new soundtrack for the film, which will be produced by Ghostface Killah and Caruso, with RZA also scoring the movie. News of this development came out of the Sundance Film Festival premiere of the Showtime documentary series Wu-Tang Clan: Of Mics and Men. Their new project will be produced by Redick (BlacKkKlansman, Get Out) and Yvette Yates of Impossible Dream along with Wu-Tang’s Ghostface Killah & RZA, Gary Ousdahl of Foundation, and Caruso. The post RZA and Ghostface Killah of Wu-Tang Team Up for Horror Movie appeared first on ComingSoon.net.